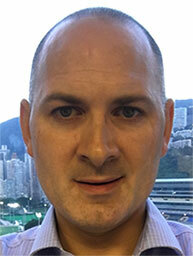 Rupert has been with the Hong Kong Jockey Club since 2004 and became Head of Trading in 2015. He is responsible for the performance of fixed odds betting in Hong Kong which generates profits of 1.4 billion euros annually, principally from football. HKJC’s location in the heart of Asia provides different challenges and insights compared to much of the global industry, and he is also currently overseeing the internal build of a brand new betting system. One of the primary responsibilities of the license issued to HKJC by the Hong Kong government is to ensure the integrity of the matches being offered. As such, and given Hong Kong’s long history of operating Horse Racing safely in the territory, HKJC is uniquely positioned to use significant resource in establishing the integrity of sports globally. Rupert, together with extensive support from other departments, works with various agencies, law enforcement and governments globally, and he has appeared as an expert witness in the CAS Skenderbeu and Lamptey cases. Rupert joined the GLMS Executive Committee in May 2017 and is since February 2018, the GLMS Vice-President. 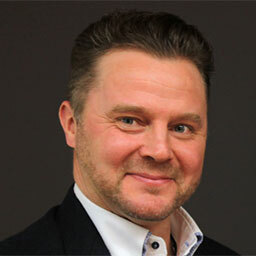 Niels Erik Folmann is CEO of Danske Licens Spil A/S, the online gambling subsidiary of Danske Spil. Danske Licens Spil has maintained a leading position in the Danish market of sports betting, pools, poker and casino online games since the partial liberalization of the Danish market in 2012. Prior to his current role, Mr. Folmann worked as an executive advisor and marketing management consultant, covering fields of expertise in strategic planning, communication strategy, and organizational brand alignment; as the founder of his own consultancy; and as CEO of BBDO Denmark. 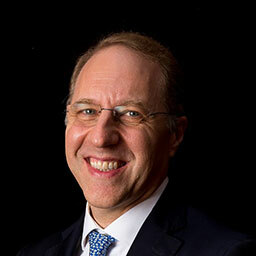 Niels Erik Folmann received his Masters Degree at Aarhus Business School in 1989. Mr Folmann has completed executive training programs at Insead and Harvard Business School and sits on three company boards. Niels joined the GLMS Executive Committee in January 2018. Sami Kauhanen has worked in Veikkaus for seven years. He came to Veikkaus to build up a kay account management model and after that he was the head of the key account management group for two years. At 2015 he was appointed to Vice President of Sports Games and from the beginning of the new Veikkaus at 2017 he has worked as Vice President of Sports, Horses & Table Games. After latest strategic change in Veikkaus he appointed to Vice President of Betting in September 2018. Prior to Veikkaus he has worked for R-kioski as head of gaming business, Talent Partners as head of leadership training unit and Finnish horse betting company Fintoto as account manager. Past few years Sami and his unit has been putting a lot of effort in preventing match fixing in Finland and he is also a member of the Finnish national platform. He is a member of the GLMS Executive Committee since May 2017. Graduate of Essec business school in Paris, Gilles began his career in various positions of marketing and sales organizations at international consumer goods companies, conducting him to the position of Marketing and Sales Director Europe of a Melitta-Johnson JV. 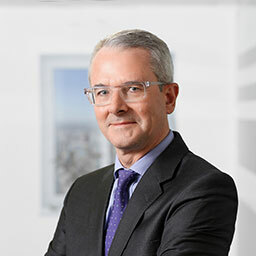 He entered FDJ in 2010 to lead corporate projects for the Management of the company and was promoted as Sales Director in 2012, leading the successful restructuring plan of FDJ field sales organization. He was appointed as Director of Sport integrity in 2017, marking both FDJ’s commitment to promote sport values and Gilles’ personal commitment in sport – he is a member of the Paris region tennis league Management committee-. Gilles represents FDJ at the French National Platform against the manipulation of sport competitions as well as at the Executive committee of GLMS (Global Lottery Monitoring System). 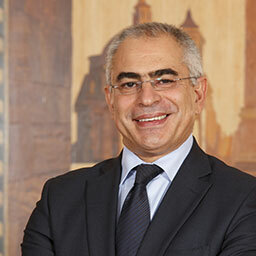 Younes El Mechrafi, born in 1965 in Rabat, holds a master’s degree in Computer Science Applied to Business Management (MIAGE) and a diploma of Higher Specialized Studies (DESS) in Computer Engineering from Université de Lille in France. He began his career as a professor and researcher within a unit of the National Scientific Research Council (CNRS) at Université de Valenciennes in France. Back in Morocco, he was appointed General Manager of SOMAV, a company operating in the agro-industry field. Then, he founded CONCIS, a computer engineering services company, based in Rabat, which counts among its customers important state prescribers such as the Ministry of Finance and the Royal Moroccan Armed Forces. In 2003, Younes El Mechrafi was appointed Special Advisor to the Minister of Justice in charge of new technologies and modernization. The e-Justice project received the Imtiaz prize, a distinction awarded to the most performing public administrations in the e-Government program. In 2006, he held the position of General Manager of an IT services company, Archos Conseil, a subsidiary of ONA group, the first Moroccan private group. Since 16 November 2009, Younes El Mechrafi is the CEO of la Marocaine des Jeux et des Sports (MDJS), a state lottery that operates Sports Betting and finances the Moroccan sports. Since March 2014, he is General Secretary of the African Lotteries Association (ALA) and has been reelected in 2016. He is elected member of the World Lottery Association’s executive committee since June 2014. Since January 2015 he is elected member of the executive committee and Secretary of GLMS (Global Lottery Monitoring System). Economic studies at Universidad de Chile and postgraduate studies at Boston University in Massachusetts. Has been Chairman and CEO in Utilities companies in the Power as well as Water and Transport sector (Esval; Colbun; EFE). 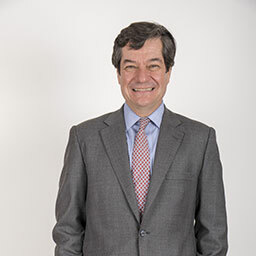 Earlier he developed a career in the financial sector at JP Morgan Chase Manhattan Bank; Banco de Chile and Banco del Estado filling different executive places. Since 2008 he is the CEO at Polla Chilena de Beneficencia, institution owned by the Devopment Agency CORFO of the Chilean State. June 2007. His current portfolio is Director (Procurement and Legal). How Sheng heads a team of 6 handling procurement – both centralized and de-centralized. How Sheng has been involved in various aspects of sports betting, focused on risk management, unusual transaction analysis and regulatory aspects. 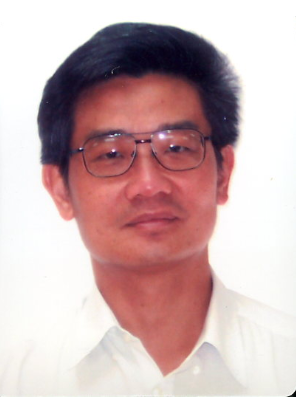 Prior to joining Singapore Pools, How Sheng spent 25 years in various portfolios in the Singapore Civil Service.